Tom Jones, was a longtime Las Vegas favorite. 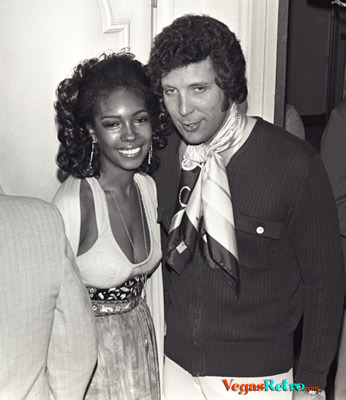 This photograph is from a party he hosted in 1971 and pictured with him is Mary Wilson of The Supremes. Sources say the two singers had a romance going around this time and would often "hook-up" when they were in Vegas at the same time.